There is a new alternative approach to eating, and studies at Harvard University have shown that it cannot only help you lose weight, but it can also steer you clear of processed foods and unhealthy choices like carbohydrates. While the concept is new to many in the West, it has been part of the daily life of many Easterners for more than a millennia. This is truly ancient wisdom being applied to create healthy modern bodies. The approach is called “mindful eating,” and it’s a Buddhist tactic to bring attention and awareness into the present moment. Mindfulness techniques, including mindful eating, have also been proven to reduce stress, lower blood pressure, and relieve chronic gastrointestinal difficulties. Learning how to make mindful eating a habit could truly help transform your body and life in 2014 and beyond. 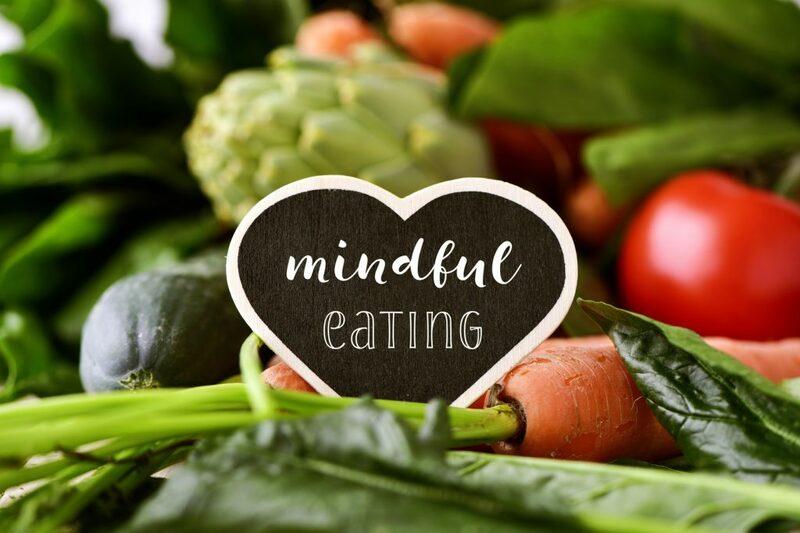 Before I teach you how to get started with mindful eating, let’s take a look at how and why it can help you lose weight and keep it off. For most people, it takes 20 minutes for their brain to feel full after a meal. This means, that eating too quickly can result in 20 minutes of over-eating. Also, eating while distracted, such as when you’re driving or working, can cause your brain to completely overlook the fullness signals that it receives from your gut. Mindful eating pulls your attention into the present moment and asks you to savor every bite. Eating in this way is not only deliciously joyful, but it’s also very self-aware. When eating mindfully, you’re extremely unlikely to over-eat. The first thing to understand about mindful eating is that it isn’t a religious practice. Although it is based on the Buddhist concept of mindfulness, people of all sorts of faiths around the world are starting to practice eating in this way. You can think of it as yoga for your taste buds. Experts suggest beginning a mindful eating habit by eating one normal-sized meal a day in the presence of a timer set to 20 minutes. It might be helpful to eat the meal with your non-dominant hand, or to use chopsticks if you aren’t used to them. Take little bites and chew each one well. While you eat, focus on the food: the way it tastes, the way it sits in your stomach, where it came from, etc. As you become more aware of the act of eating, you are less likely to carelessly binge or indulge in food that you know is bad for you. Hopefully, this will bring you a few steps closer to achieving your New Year’s weight loss goals!